The farmer’s market has been closed since early December but we’ve continued to sell eggs throughout the cold season. We put our phone number on every egg carton and our customers have been coming to the farm to buy them. One customer asks for 5 dozen every time, we don’t usually have that many available. 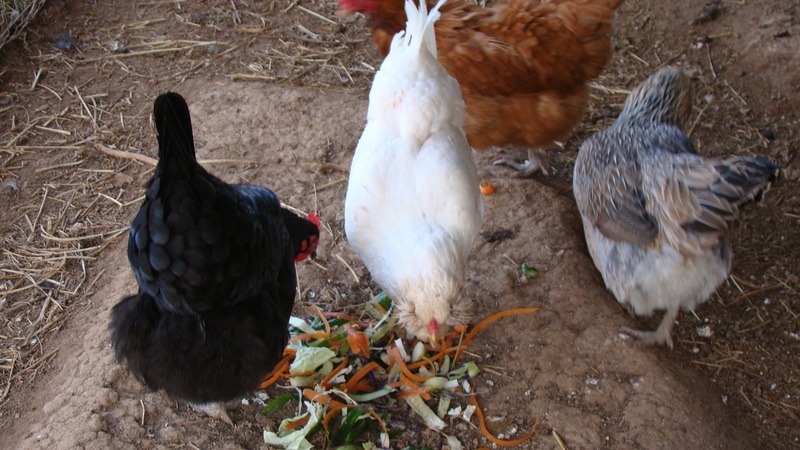 They are so tasty because we feed them a high protein chicken food , cracked corn and all of our veggie table and garden scraps. They love stale bread, too. They run up to me every morning to see what tasty treat I’ve brought them and jump up to take it out of my hand. A person with bird phobia would probably freak out with chickens jumping up at them but I love it. We had three ‘escape’ yesterday so I bribed them with grapes to get them back to their safe place. Ours go completely crazy for grapes. Truly. It is a sight to see! I need to get ours some grapes! Look at those multi colored chickens! Do you have a breed that’s a better layer than others? The Rhode Island Reds are more consistent layers but the Americaunas lay larger eggs. It’s a good mix to have on hand. How long will the fresh eggs be good for? We never had chickens, but we did have geese. How hungry would you have to be to eat 9 month old eggs out of your garage? LOL! Yeah, she served them at a garden party….